Telsa has released a dual-motor, all-wheel-drive version of the Tesla Model S. On the top-of-the-line P85D, that second motor brings the max speed up to 155 mph and 0-60 mph down to 3.2 seconds. Musk also announced a new 'autopilot' system for all new Tesla cars, which can automatically change lanes when you push the turn signal stalk, automatically reduce your cruise control speed when its forward-facing camera spots a new speed limit sign, and other self-driving functions. Over time, software updates will be rolled out to add more safety/driver assistant features, until eventually your Model S can drive itself. 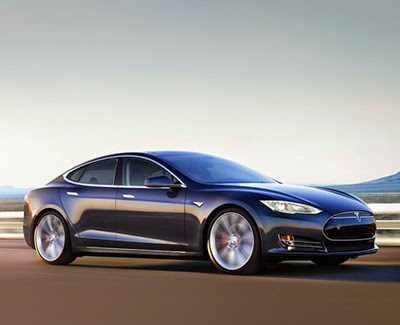 Some reports suggest that the new Tesla Model S also has stop-and-go adaptive cruise control (it watches for cars slowing down in front, and then speeds back up automatically), it can automatically park, and (on private property) you can summon the car to your current location. If these features aren’t available immediately, they’ll be added later via over-the-air software updates.